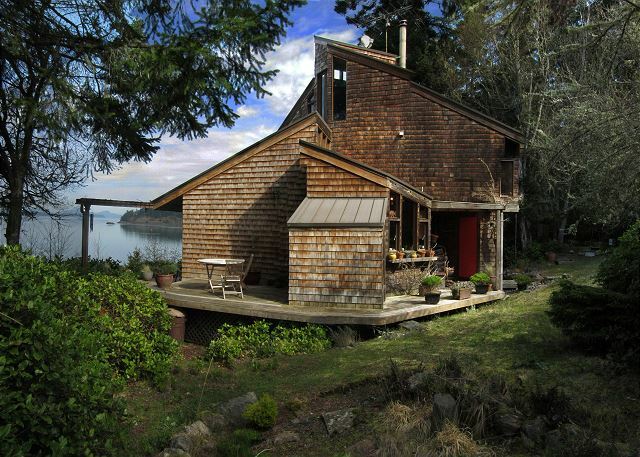 This eclectic and rustic Orcas Island vacation rental house offers incredible water views of Mt. Baker, and 50 wooded acres to explore. Enjoy Orcas Island as it was before it was discovered! 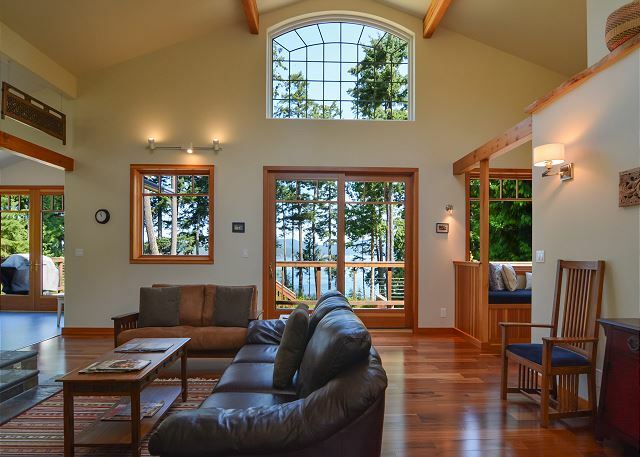 Elegant Penthouse Condominium home in the middle of beautiful Eastsound Village on Orcas Island. This new top-floor penthouse enjoys wonderful views from on all sides. Just across the street from Eastsound community park and sand beach. 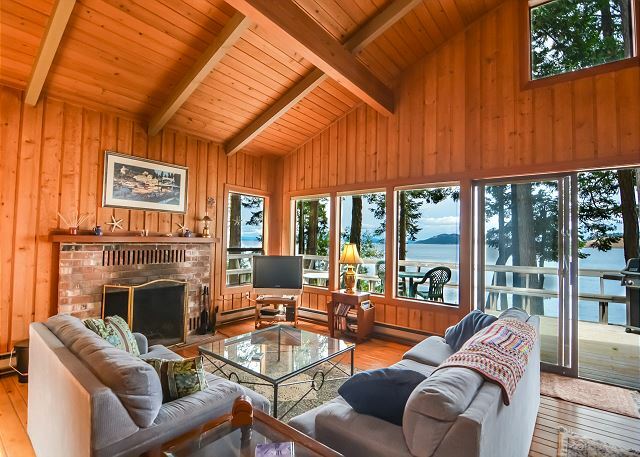 This Classic San Juan Island vacation home provides an active waterfront setting in a desirable neighborhood near Roche Harbor. You'll enjoy spectacular summer sunsets and the no fuss cabin style if offers. Super for kids, with sleeping areas in the loft. 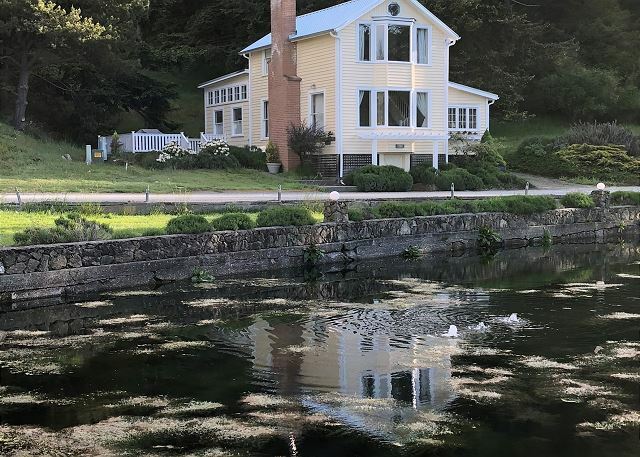 This lovely historic vacation home on Orcas Island near Rosario Resort so you can arrive by land, sea, or air! 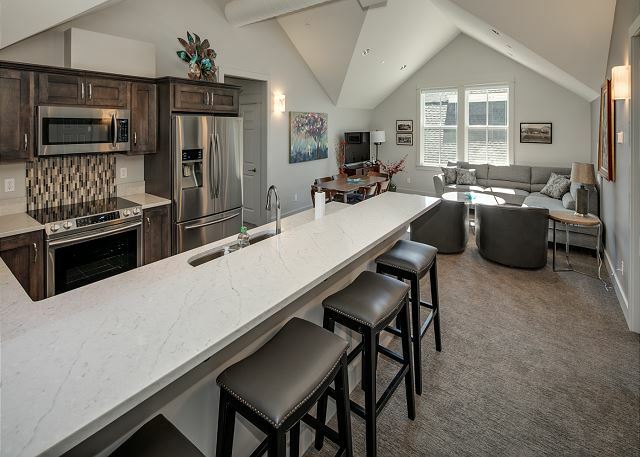 Beautiful views of the marina & lawns and updated with new kitchen and crisp Cape Cod styling. A favorite of our guests! 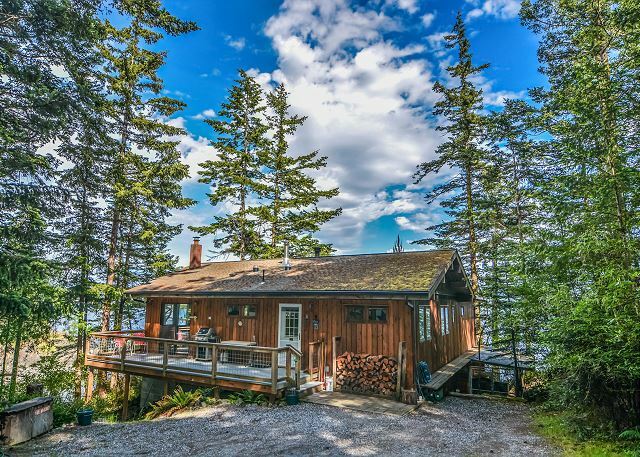 This cheerful waterfront home on Shoal Bay looks toward Humphrey Head where you can watch the ferries come and go. Great water views with a path down to a wonderful sand and gravel beach. And there's a buoy for boat tie up! This recently remodeled waterfront home is romantic, dramatic, and cute as can be! Incredible waterfront setting with sunsets, beach access, style, whimsy, and small dog friendly too. Great for couples. Recently built NW contemporary home. Enjoy great views from the deck, private setting, gleaming floors, and super kitchen and baths. A short walk to a fabulous beach. 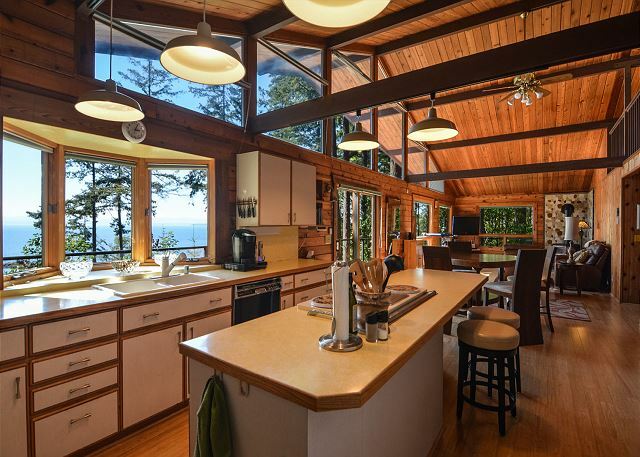 Enjoy this hillside-perch home that looks out over some of the most Orca traveled waters in Haro Strait. A brand new large deck, surrounded by trees, will make you feel like you're in a tree house. The sunsets are extraordinary! Asian design elements add a contemporary aesthetic to this newly-built vacation rental home on Orcas Island. Enjoy fabulous waterfront views and a rocky shoreline with tidepools to explore.